For Transparency: glutathionepathway.com may or may not use affiliate links in supplement reviews. These links help support the maintenance of the site and we truly attempt to keep our glutathione supplement reviews as unbiased as possible. 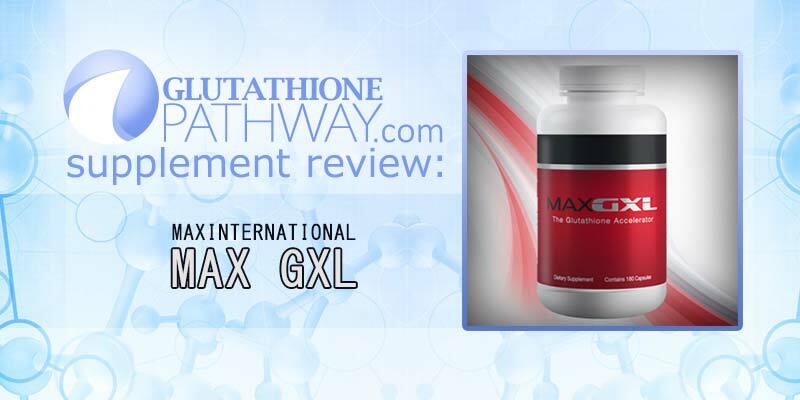 MAX GXL was one of the first major glutathione supplements to make a splash on the internet. Does the product formula still hold up? One of the more well known glutathione supplements on the market MAX GXL was one of the first widely available GSH boosters. This review will focus on their first glutathione product known as MAX GXL. They’ve since added to their line up with other products like cellgevity and our reviews will be coming. Be careful when you are reading information or studies that you know exactly which MAX product you are reading about. Originally developed by Dr. Robert Keller this glutathione supplement is built into an MLM structure of a company known as Max International, these days associated and endorsed by none other than Chuck Norris. The original glutathione enhancing formula from Max International, this product actually contains no direct GSH but uses precursors to stimulate glutathione production in the body. 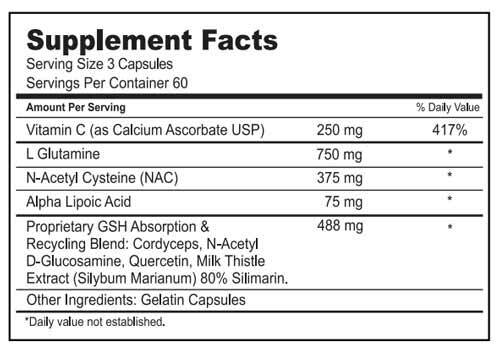 N-Acetyl Cysteine or NAC – 375 mg – The key ingredient in Max GXL provides L-Cysteine which is the bottleneck in your body’s self production of GSH. NAC is used in emergency rooms for liver toxicity cases involving acetaminophen overdose, and has a proven track record in offering a quick boost to your GSH levels. L-Glutamine – 750 mg – This is processed into the body as glutamic acid, one of the three core components of glutathione. This is the most abundant free amino acid in the body and though extremely necessary is unlikely to be depleted unless you are dealing with a severe health issue like HIV or Chemotherapy. Vitamin C – 250 mg – Always associated with good health, Vitamin C has some specific benefits in relation to glutathione. It’s been discussed that it helps elevate red blood cell glutathione, and improves overall antioxidant protection capacity of blood. We feel good about this one. Alpha Lipoic Acid – 75 – ALA is a powerful antioxidant in it’s own right, and is meant to increase your body’s ability to use cysteine making it a valuable companion to NAC. It also has replenishing interactions, keeping Vitamin C levels restored for example. We don’t know how much of each ingredient listed is actually in the blend unfortunately. N-Acetyl D-Glucosamine is an ingredient we at glutathione pathway were unaware of until looking at this product. MAX claims it helps absorption of the N-Acetyl-Cysteine, but we’re not sure what that information is based on. Though it has been proposed to assist treatment for autoimmune diseases we’re unsure of it’s efficacy at this point. Milk Thistle 80% Silymarin or Silybum Marianum. The milk thistle plant has been touted as a folk or traditional remedy to assist in liver health, and science has since helped back that up. Because glutathione production is prevalent in the liver, supporting good liver health seems like a smart idea. Cordyceps. A genus of fungi that has a history of use in traditional and Tibetan medicine. Quercitin. A flavanoid in many fruits and vegetables, there’s not much out there regarding it’s benefits. Max GXL and their company has done a stand out job of getting glutathione supplements into the spotlight and helping people understand the benefits. NAC is known for giving a quick boost of GSH that quickly tapers off, the addition of alpha lipoic acid is a perfect match. We aren’t fond of ‘proprietary blends’ as it’s hard to tell if it’s mostly just ‘filler’. Price: $85 USD Retail – down to $50 USD depending on your involvement within the company. The idea that it’s an “Unsurpassed NAC formula for enhancing glutathione levels” is a little hyperbolic. Though it may be the only formula that does not contain a more complex and true glutathione ingredient This is probably fine for a little boost if you are feeling ill or drank too much alcohol on the weekend and want to give your liver a little something back. A relatively simple formula that is fine, but far from extraordinary. Leave a comment and tell us what you think of MAX GXL. As the full review discusses, this product does not directly contain glutathione. It is fine as a relatively simple formula that relies on N-Acetyl-L-Cysteine and Alpha Lipoic Acid to do the heavy lifting of providing you a quick GSH boost, that is unlikely to last too long or provide too many major health benefits. Nice read and well worth trying.